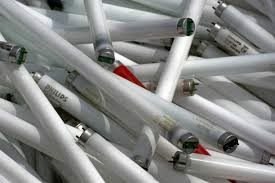 The use of lightweight ‘fit for purpose’ boxes for the fluorescent tubes is not new to the industry but CPP has been able to provide several styles, sizes and at competitive priced solutions for recycling companies throughout the UK. Ian Bellingham, Commercial Manager for CPP said that the point of difference was that CPP, as a single point of contact, could provide options for the Customer rather than them having to shop around. CPP continues to explore other ways of providing innovative support to the Environment sector and will continue to do so for the foreseeable future.